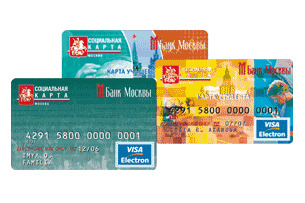 Social card of a Muscovite is a project that was implemented by the Government of Moscow and is made at the expense of the city budget.This map largely makes life easier and provides the possibility of concessionary travel, safe receipt of funds, payment of services, taxes, payments in shops, medical services and much more. If you have the right to social support, as well as the number on the account in establishments of social protection of Moscow, you must obtain a social map of the Muscovite. Form, registration in Moscow, 3x4 photo, passport, insurance pension certificate, medical insurance policy and the documents confirming your right to receive social support. To start your regional social security Office you need to fill the application form. Instructions for completing located on the back side of the questionnaire, you can also take the help of employee Control. At the time of completing the questionnaire, you free cellphone. If you have a photo size 3x4, can provide it. Along with the visa application you provide passport, medical insurance, pension insurance certificate and documents confirming your right to social support. After registration of application will receive a temporary social ticket. The validity of the ticket is 30 days, and it is valid for discounted travel on public transport. After 15 days you will need to get your social card in your district social security Office where you filed the application form. Together with the social map will give you a memo on its use, a list of companies that participate in the discount program, and a PIN envelope for access to your personal Bank account. With the release of a social card, in accordance with the law you will open a personal Bank account. For you to be able to transfer their pension to the account, you will need to write a statement in your territorial office of the Pension Fund of the Russian Federation. Your coupon application, you need to save before receiving your card.